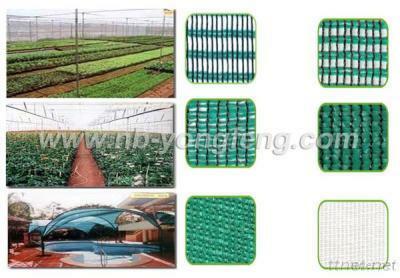 SUN SHADE NETS ARE USED FOR THE AGRICULTURE OF NEEDS OF NURSERY, VEGETABLES, AND ALSO INDUSTRY OF POLYHOUSES ETC. WE ARE OFFERING OUR CLIENTS, QUALITY SHADE NET, WHICH IS MANUFACTURED USING 100% VIRGIN MATERIAL. THESE NETS HAVE HIGH CONTENT OF HIGH DENSITY POLYTHELYNE (HDPE) AND ARE TREATED WITH HIGH QUALITY COLOR MASTER BATCHES & UV STABILIZERS. COLOR: CAN BE PRODUCED AS CUSTOMER REQUEST.